Wooded Istria, Croatia, beckons the active walker in autumn. With temperatures reasonably mild until November (longer in Dalmatia), you can enjoy hikes through primeval beech forest, along former narrow-gauge railway tracks and down trails where dinosaurs once stomped. 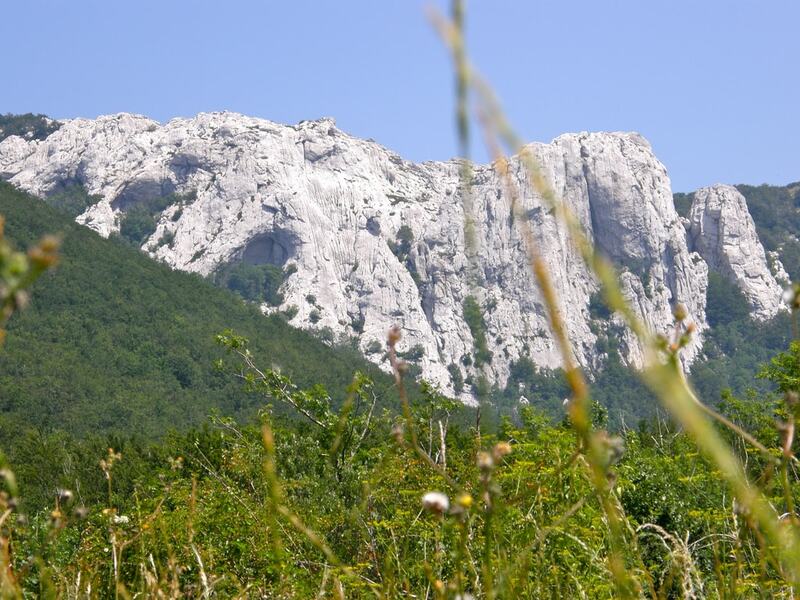 Its many peaks beckoning mountaineers and its caves attracting “pot-holers,” the extensive nature park of Velebit is also a prime destination for hikers. 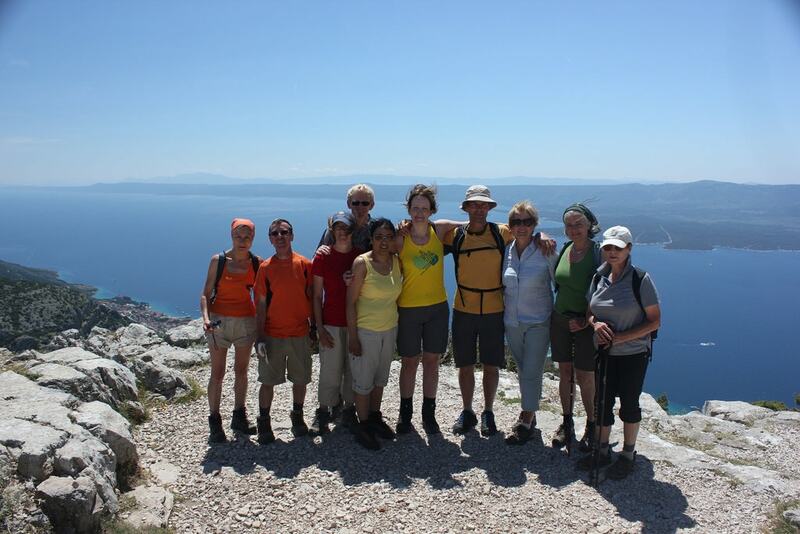 This being Croatia’s longest mountain range, the terrain can be quite rugged but there are so many paths and walkways to choose from, between Senj in the northwest and Knin in the southeast, you can easily find a track to suit your level. Two sections within Velebit have been designated as National Parks, Paklenica covered in oak, beech and black pine and Sjeverni Velebit, with its own botanical reserve. 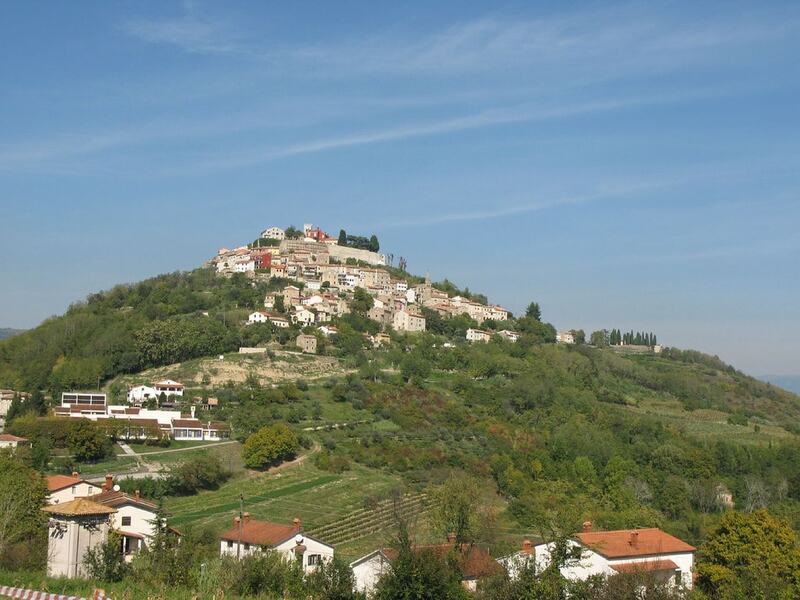 The forest around the pretty Istrian hilltop town of Motovun is perfect for morning strolls toward the end of the year – gazing out from its Venetian fortifications, the autumn colours are simply irresistible. You may well see hunters with sniffer dogs as you dander about the old brown oak trees. The walk back is steep but rewarding, with a warming hot chocolate awaiting at one of Motovun’s cosy cafés. The closest main island to Split, with a frequent ferry service throughout the autumn and winter, Brač also offers one of the most satisfying hikes in Dalmatia: Vidova gora. At 778 metres (255 feet), this is the highest point on any of the Adriatic islands but visitors won’t be needing crampons or climbing gear. Signposted from the main resort of Bol, Vidova gora is a gradually panoramic two-hour trek, culminating in a stupendous view of a deep blue Adriatic stretching as far as the next expanse of green. Far less frequented than Rovinj, Poreč and Novigrad, Istria’s east coast has its own attractions, two being the pretty town of Labin, tucked just inland, and the bizarre destination of Raša. The distance between them is 4.5 kilometres (2.7 miles), an ideal stretch for an autumn morning’s stroll. 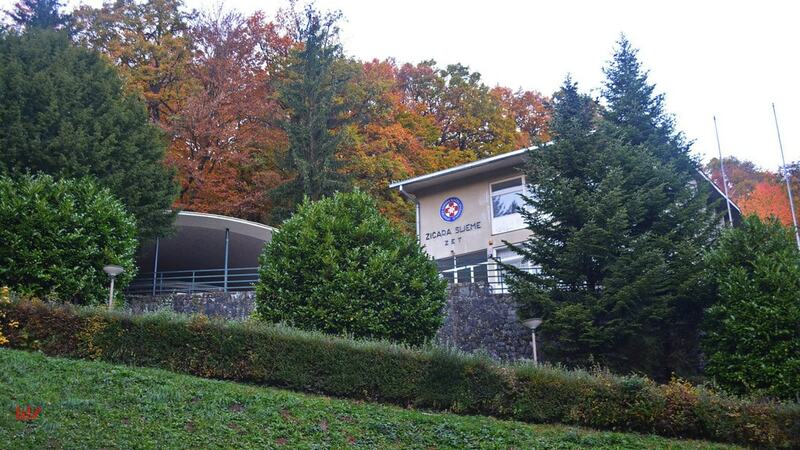 A traipse through plentiful foliage in autumn colours culminates in the culture shock of the former mining community of Raša, built by Mussolini in functionalist style in the 1930s. The turquoise lakes and cascades of Plitvice, Croatia’s most visited National Park, are famously dramatic, but its meadows and wooded pathways provide ample opportunity for picturesque walks. Alpine flora, orchids and primeval beech woods abound, while up above you might just catch a glimpse of a golden eagle. 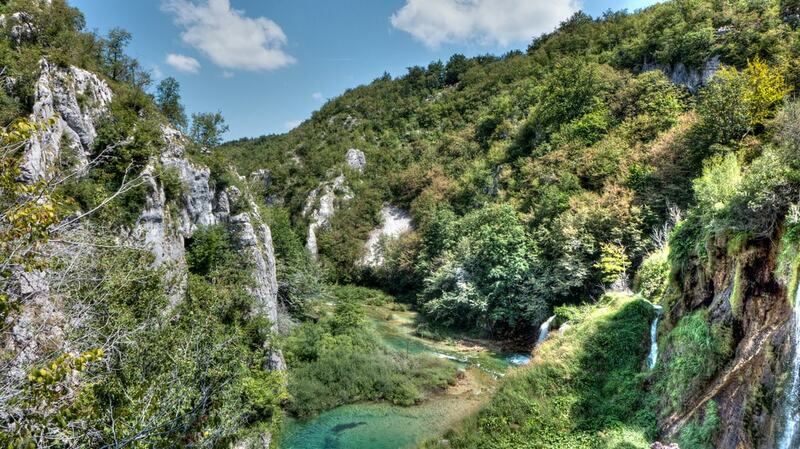 There are few better hiking territories in Croatia than Gorski kotar, a verdant, mountainous area north of the Kvarner Gulf that stretches up to the border with Slovenia. It’s so scenic it is often compared to Switzerland. 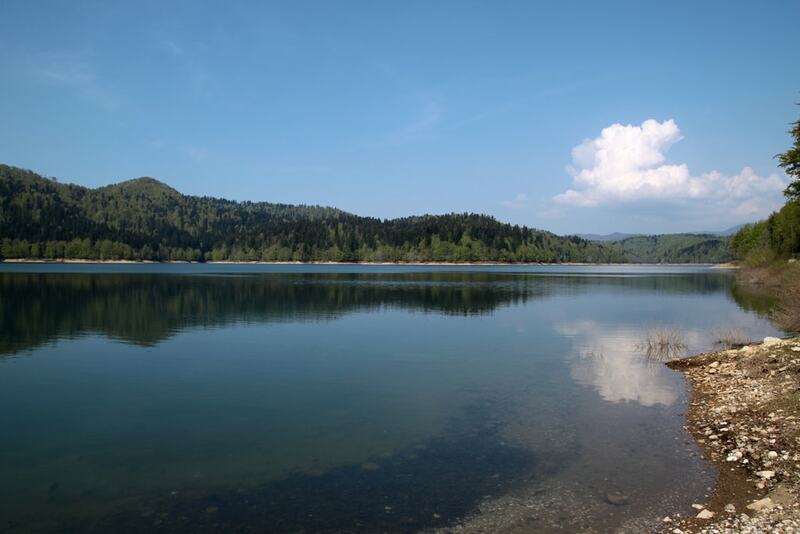 With shimmering lakes and Alpine flora, Gorski kotar lacks one thing: people. You can trail for miles through forest and not see a soul. To follow a more regimented path, a walk of 4.5 kilometres (2.8 miles) has been created within the Risnjak National Park, starting and finishing at the visitor centre at Crni Lug. Many have seen the money shot of Krka, the lagoon of Skradinski buk backdropped by stunning cascades, but this national park contains a number of hiking trails that allow you to take in all its natural beauty while on the move. One path starts at Stinice and runs for eight kilometres (five miles) to the famous waterfall of Roški slap, taking in splendid panoramas and passing the rustic village of Malenice. 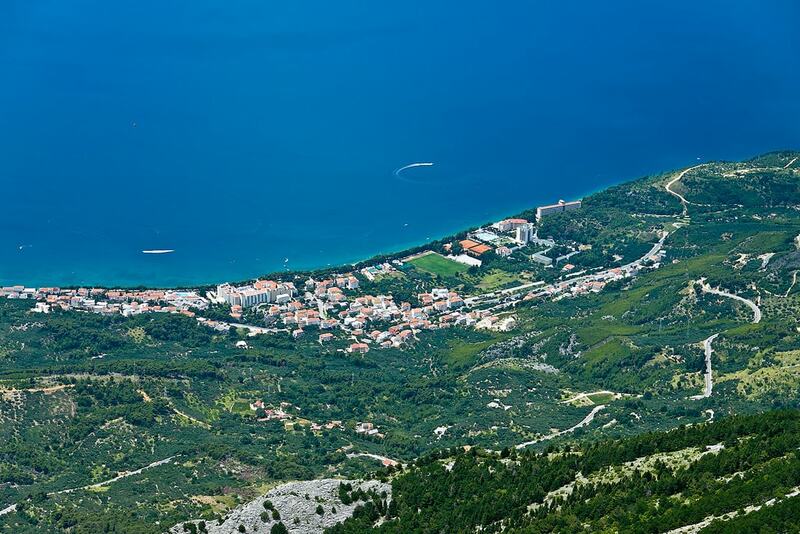 Overlooking the string of holiday resorts known as the Makarska Riviera, Biokovo Nature Park offers some 40 hiking routes around its craggy slopes, from easy to expert. The gentle climb from Brela on the coast to Sv Nikola is estimated to take 2.5 hours, but hikers should always wear suitable footwear and pack water just in case. Many combine a drive with a hike, parking the car halfway up the slopes and aiming for a panoramic lookout post an hour or so higher. Medvednica, just outside Zagreb, was made for hiking. A gentle hilly expanse of forest, mainly beech trees, criss-crossed by trails and dotted with mountain huts where traditional hot food is served, Medvednica may reward the dedicated walker with bean soup and a warming drink after a hard morning’s “yomping.” The city’s tram and bus network runs to the foothills – maps and information are provided at the visitor centre at Bliznec. Modern-day attempts to revive the former narrow-gauge railway known as the Parenzana have also brought to life a programme of activities around various sections of its course between Trieste in Italy and Poreč on the Istrian coast. These involve a number of hiking and cycling trails, some passing through its tunnels, most past former stations since converted into homes or workshops. As well as providing an interesting historic backdrop, the locale allows active visitors to admire the likes of Buje, Grožnjan and Motovun in a different light. 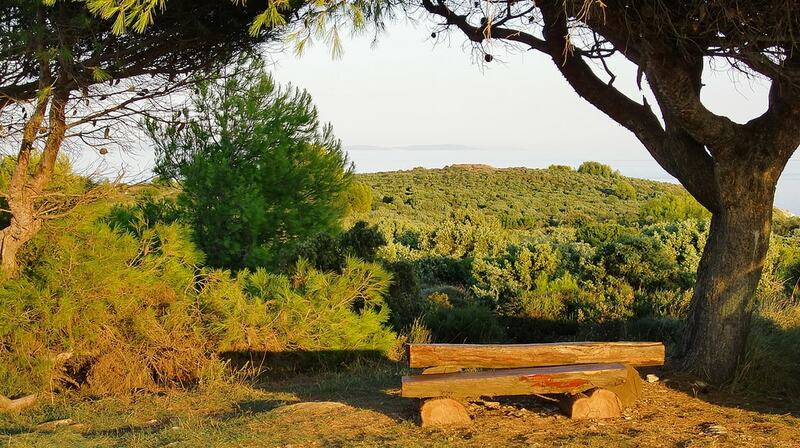 At Istria’s far southern promontory, beyond Premantura, Kamenjak is an unspoiled wilderness. 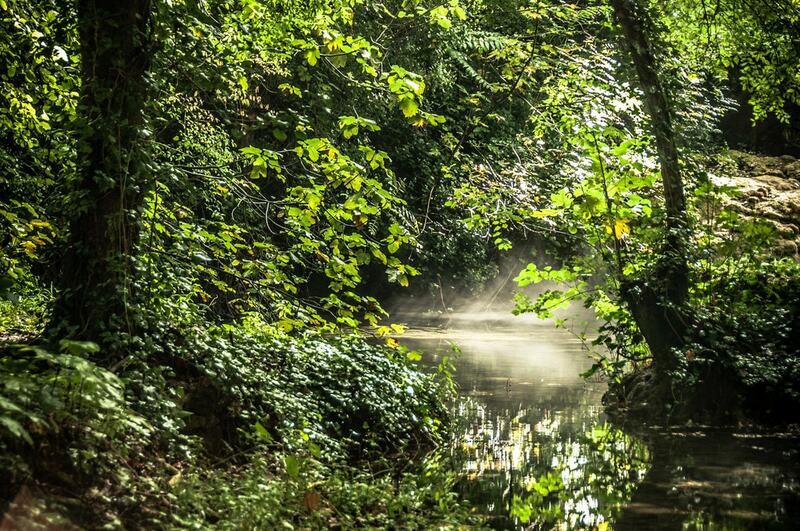 It’s this wild nature that has encouraged many locals to carve out a walk more suited to the more clement climes of autumn and spring than under the burning sun of summer. The so-called Orchid Trail runs from Premantura itself to Kamenjak, a distance of seven kilometres (four miles), and the same on the way back. Memorable sights will include authentic dinosaur footprints, hidden beaches and coves, the Robinson Crusoe-like Safari Bar and, of course, plentiful orchids.